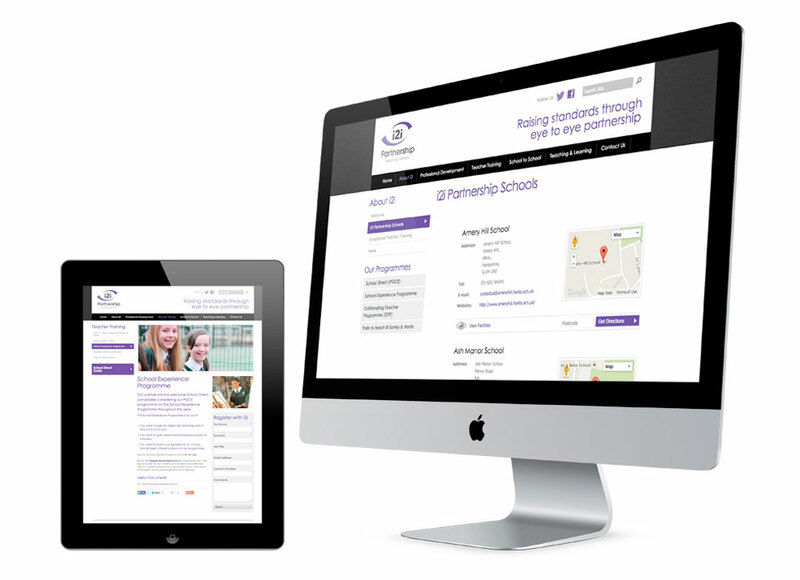 The i2i Partnership commissioned Cleverbox to brand their teaching school from start to finish. The logo was designed to represent eye-to-eye communication, with a clean and professional look. Using the purple and grey tones of the logo, we generated a modern, fresh and stylish website. As a teaching school, i2i decided that information was the most prominent feature to be displayed on the homepage. This was beautifully designed with pop-up quick links, accordion style news article snippets and colourful programme links. To help facilitate recruitment and build interest through the website, we built bespoke forms for visitors to complete, registering their interest or to book on to an upcoming course. Each form field can be easily edited in the cms along with assigned recipients, tick boxes and preselected dropdown list responses. Each form can be added to any page on the website either as shared content in the side nav or as a full page.